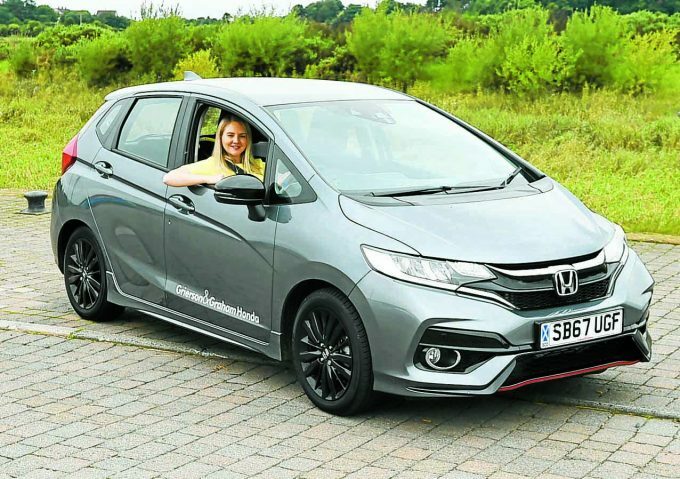 ONCE seen as the car of choice for the over 60s, now the Honda Jazz is growing a much younger fanbase. The moderate engine size, compact boot, high seats and wide-opening doors are all perfect for the more mature driver. But what I didn’t appreciate was how all those elements would also fit into my life. The 1.5L engine was much more economical than my ‘big family car’ and gave me as much ‘oomph’ as I needed; I could fit my buggy in the boot; and the high seats and extra door space made lifting my four-year-old and 18-month-old into their seats a breeze. The sport version, which I had, looked sleek with clear white lights against the grey paintwork, glossy black and red trims and edgy black alloys. It screamed ‘trendy mummy’ instead of hip OAP. I drove the model for two days and in that time we enjoyed a family day out, a trip to the supermarket and runs to work and nursery – very much mundane family life. The car gave me everything I needed for those day-to-day tasks, but also much more. The rear seats fold completely flat or lift up with a one-hand motion – in seconds I could have a van or the full height of the back seat area. The front seat also folds down, giving the full length of the car – the possibilities are endless and offer lots of scope for a trip to ‘that popular blue and yellow Swedish shop’.